Cathy McMorris Rodgers had this to say about President Obama's decision to address parts of immigration reform through executive actions. "Tonight the President articulated his plan to act unilaterally on one of the most significant issues facing America: the future of 11 million undocumented immigrants in our country. His decision to act alone blatantly disregards the will of the American people: for their elected leaders to work together and enact effective, long-term solutions that make people’s lives better. Tonight the President has done exactly the opposite. He has revealed that his own desire for unilateral action trumps the democratic process upon which this country was founded. When it comes to fixing our broken immigration system, the American people want a permanent solution, not a quick fix. They want the most effective solution, not the most expeditious one. They want their elected leaders to come together, transcend partisan divisions, and advance real, common-sense solutions. Make no mistake: I will work with my colleagues on both sides of the aisle – and I will listen to the American people – to get immigration reform right. I urge the President to join us in that effort." Our congresswoman laments the President's unilateral action and claims his actions trump the democratic process. Here's what she's not telling you. The democratic process isn't working because of the extremists in the Republican-led House. The Senate passed a comprehensive bill in June 2013 that would provide a path to citizenship for the 11 million immigrants living here illegally and tighten border security. Sixty-eight bipartisan votes passed that bill. The bill would double enforcement at the U.S.-Mexico border but provide a path to citizenship for undocumented immigrants living in the U.S. The House leadership has refused to bring the bill up for a vote so it's been languishing in the House for almost 18 months. What does the president's unilateral action consist of? President Obama is not granting citizenship to anyone. His executive order will protect about 5 million undocumented immigrants from deportation. Those people will not become citizens nor will they receive legal permanent residence. Deportations will focus on the people who threaten public safety. Plus, undocumented immigrants who have lived her for more than five years and are parents of U.S. citizens or Lawful Permanent Residents and register and pass criminal and national security background checks, will start paying their fair share of taxes and temporarily stay in the U.S. without fear of deportation for three years at a time. 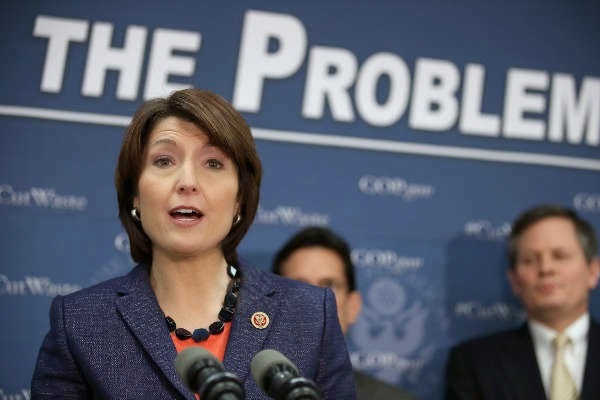 Cathy McMorris Rodgers may cry havoc about the president's "decision to act alone", but what it really translates to is, "The president is doing something because we won't." Does anybody else need a Kleenex?